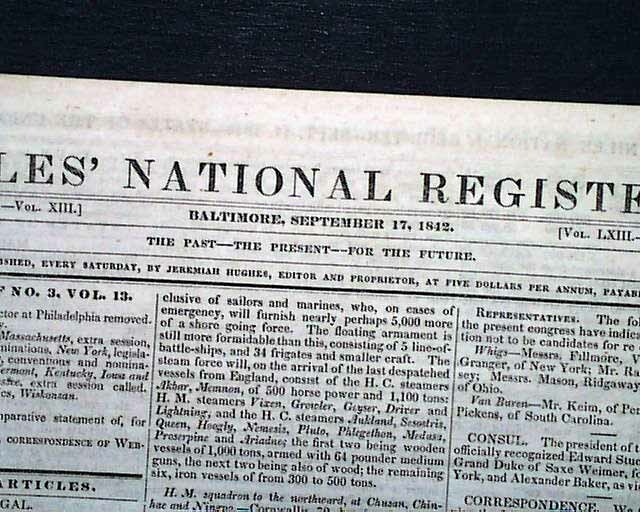 NILES' NATIONAL REGISTER, Baltimore, Sept. 17, 1842 The back page has a brief yet rather rare report with a mini-head: "Joe Smith" stating: "This wonderful fellow is to be bodily absent from his people for ten years; so say the latest accounts." 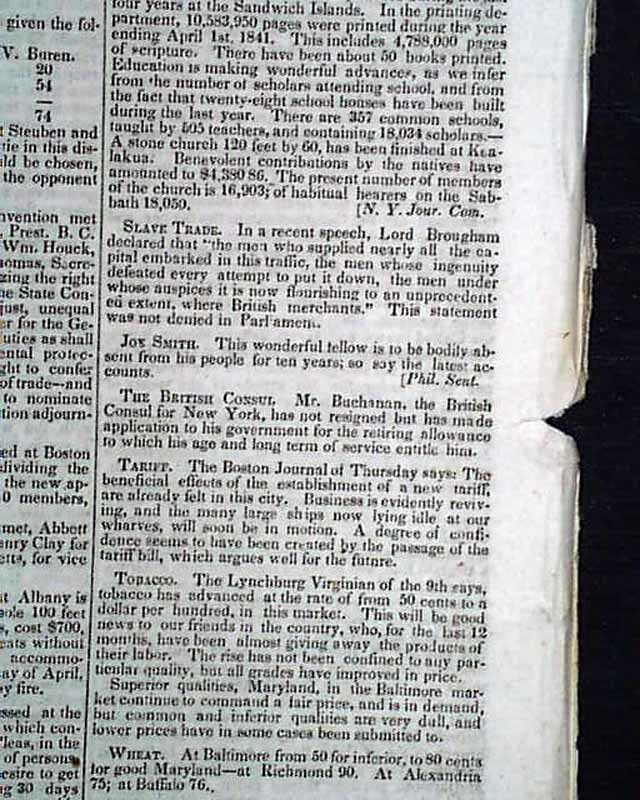 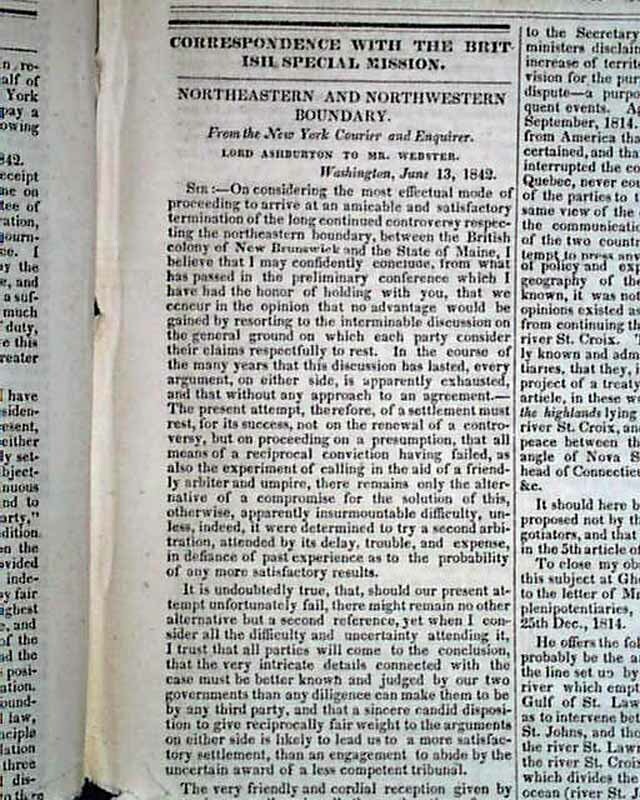 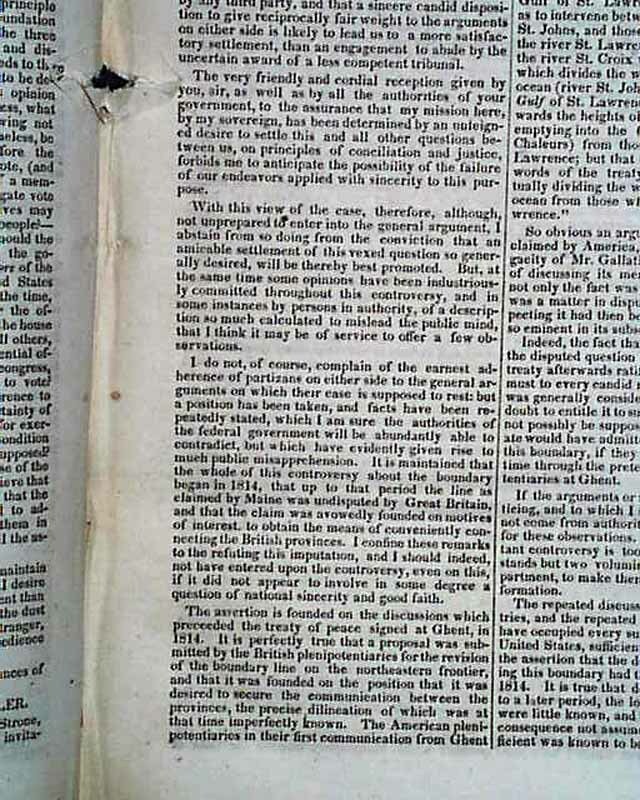 (see photos) Just before this is a small article: "Slave Trade", and several pages are taken up with: "Northeaster & Northwestern Boundary" with Canada, being correspondence between Lord Ashburton and Daniel Webster. 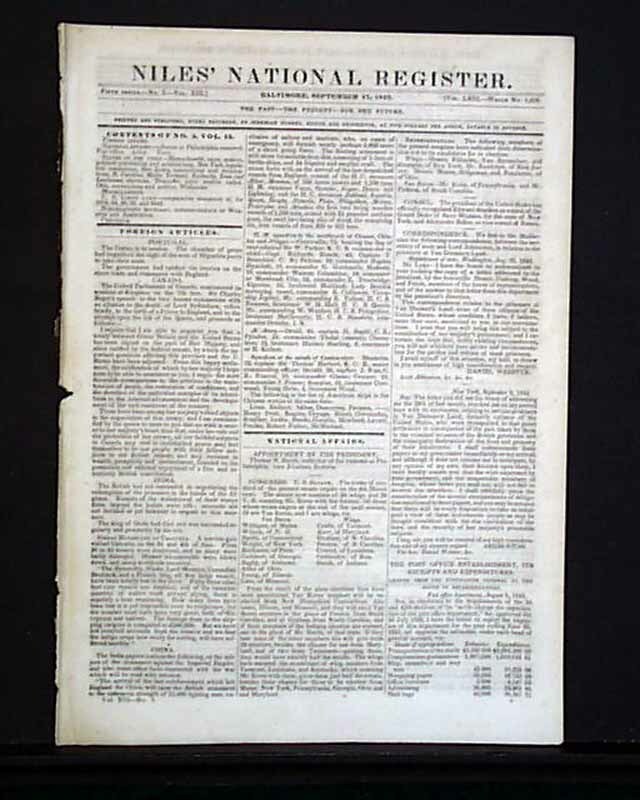 Sixteen pages, 8 1/2 by 12 inches, nice condition.